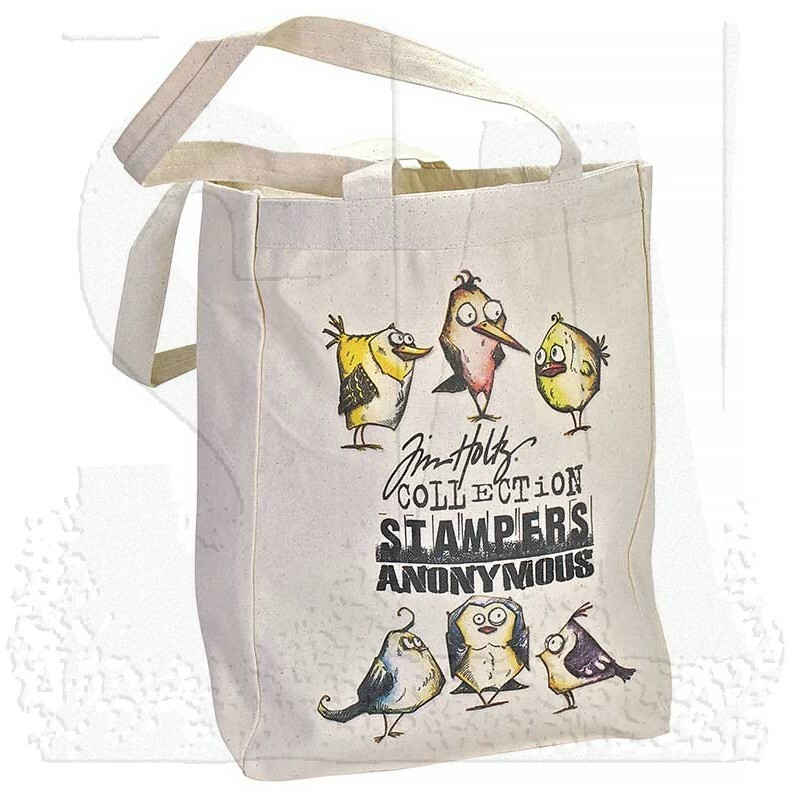 Stampers Anonymous is pleased to announce tote bags with a Tim Holtz flair! 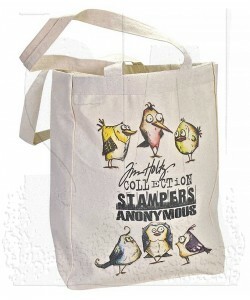 These gusseted totes feature full color versions of Tim's hottest designs - this one features those lovable, crazy birds. Like our craft aprons, they are available exclusively from Stampers Anonymous. Tote bag measures approximately 10 1/4" W x 13 1/2" H x 5" D with gusseted sides and a flat bottom. 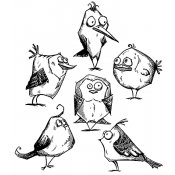 Our tote bags feature beautiful full color screen printing on natural cotton. These Tote bags are great! !